A prosecutor says the FBI is still investigating whether a Chinese woman accused of lying to illegally enter President Donald Trump's Mar-a-Lago club in Florida is a spy. Speaking during Yujing Zhang's bail hearing Monday afternoon, prosecutor Rolando Garcia said they weren't making allegations of spying at this time but there are "a lot of questions that remain to be answered." Zhang is charged with lying to a federal agent and illegal entering. Her bail hearing was adjourned until next week and she'll be held until then. The 32-year-old woman was arrested March 30 after Secret Service agents say she gained admission by falsely telling a checkpoint she was a member and was going to swim. She was arrested after agents say they found her carrying four cellphones, an external hard drive and a thumb drive with computer malware installed. A bond hearing has been adjourned until next week for a Chinese woman accused of lying to illegally enter President Donald Trump's Mar-a-Lago club in Florida. She'll be held without bond until then. Yujing Zhang's hearing was held Monday afternoon in West Palm Beach, Florida, and is expected to resume next Monday. She's charged with lying to a federal agent and illegal entering. The 32-year-old woman was arrested March 30 after Secret Service agents say she gained admission by falsely telling a checkpoint she was a member and was going to swim. Inside, they say she told a front-desk clerk she was there for a nonexistent Chinese American event. She was arrested after agents say they found her carrying four cellphones, an external hard drive and a thumb drive with computer malware installed. She's charged with lying to a federal agent and illegal entering. 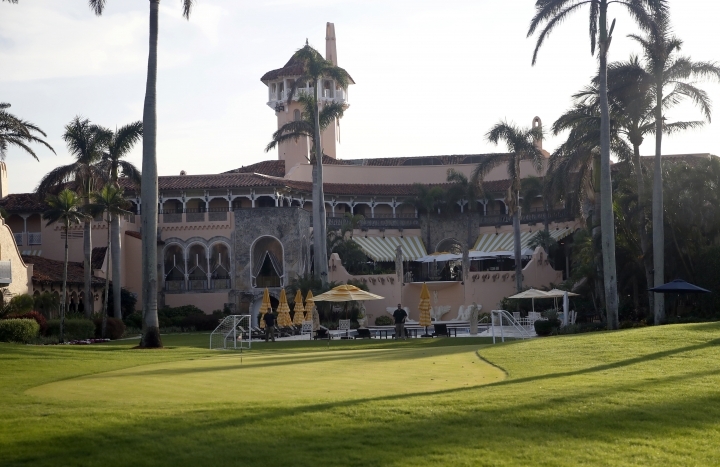 A federal prosecutor says a Chinese woman who was arrested for illegally entering President Donald Trump's Mar-a-Lago club had a device to detect hidden cameras in her hotel room when Secret Service agents searched it. Speaking at Yujing Zhang's bail hearing Monday in West Palm Beach, Florida, prosecutor Rolando Garcia says agents also found U.S. and Chinese currency in her room, along with nine USB drives and five USB cards. She's charged with lying to a federal agent and illegal entering. Secret Service agents arrested the 32-year-old woman March 30 after they say she gained admission by falsely telling a checkpoint she was a member. Inside, they say she told a front-desk clerk she was there for a nonexistent Chinese American event. She was arrested after agents say they found her carrying four cellphones, an external hard drive and a thumb drive with computer malware installed. A Chinese woman arrested after briefly gaining admission to President Donald Trump's Mar-a-Lago club will likely soon learn whether she will remain jailed.